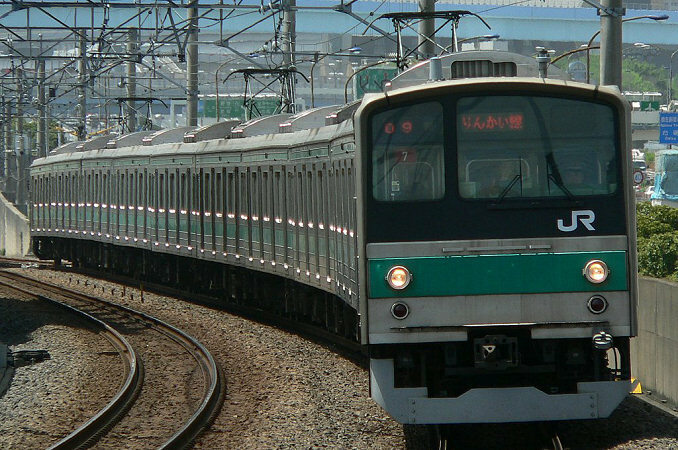 The Series 205 was constructed in the final years of the Japanese National Railways (JNR) as its next generation of commuter trains. While the JNR had produced the energy efficient Series 201 in 1979, the JNR could not afford to continue mass production of these trains. Thus, a cheaper alternative was designed. The Series 205 was the first mass produced train built by the JNR to use stainless steel. 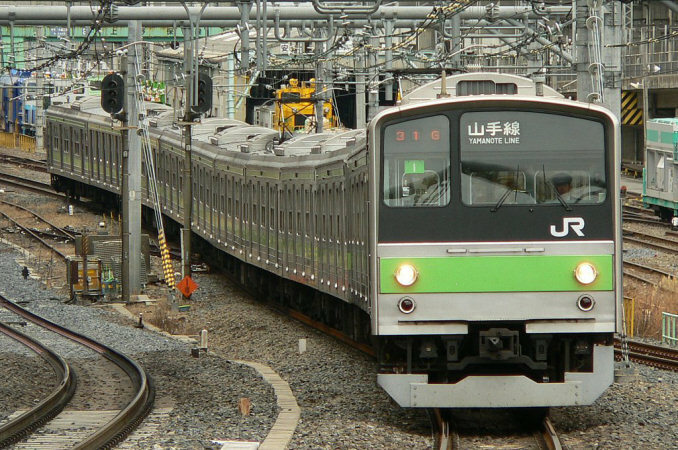 It was also far more energy efficient than the Series 103 trains that it used on many of its main lines such as the Yamanote Line. The Series 205 adopted a similar asymetrical face design to the Series 201 but moved the headlights from below the roof to underneath the windows. One feature that set this train apart from its predecessors was that it was unpainted. A colored sticker was stuck to the side of each train instead to help people distinguish trains from each other and also to save money. 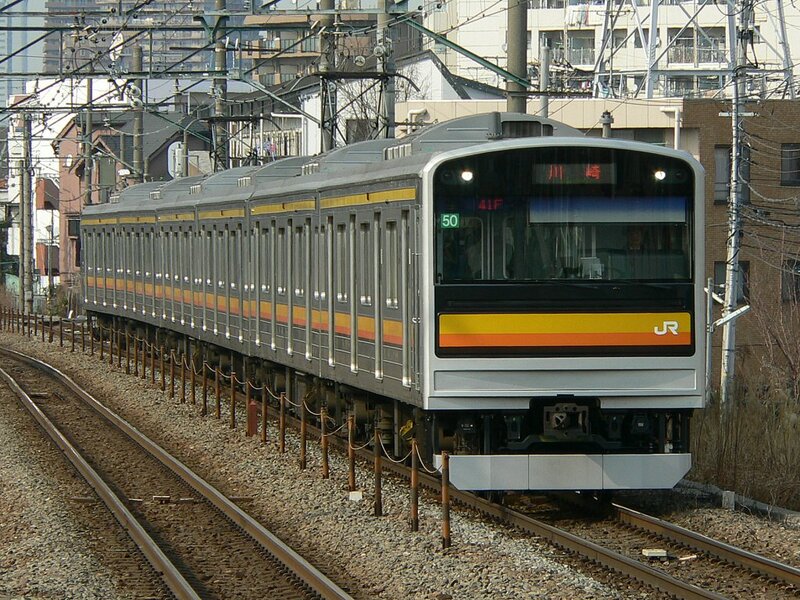 After the JNR was split up, both JR East and West continued the production of the Series 205 and continue to use them on many lines. However, they are slowly being replaced by newer models such as the E231 and E233. The Series 205 was designed and produced in only seven months.